2019 Event Tickets for Portland Concerts are on sale now! Much like Seattle, Portland is a city that is relatively isolated from the classic standbys in the music industry such as Los Angeles, New York, Nashville, and New Orleans. Some cities thrive in their constant contact with others, as influences slosh together to introduce something new; other cities thrive in their separation, granting the space people need to contemplate and create with ingenuity. Portland is densely packed with cultural activities and attractions in food, performance, art, and education, offering the cultural amenities people love. However, insiders go to Portland to seek refuge from external noise that muffles their ears and distorts their ability to approach their own music. For this reason, artists across genres who are known for their cutting-edge, unheard of sounds have found their way to Portland. These groups include Sleater-Kinney, Elliott Smith, The Dandy Warhols, Pink Martini, Menomena, Unknown Mortal Orchestra, Chris Botti, Chromatics, STRFKR, All Girl Summer Fun Band, Lackthereof, The Shaky Hands, The Builders and the Butchers, Chromatics, Chrvona, Blitzen Trapper, The Thermals, Everclear, Portugal. The Man, She & Him, Quasi, Hockey, Glass Candy, The Prids, Talkdemonic, The Decembrists, Brad Wilk, Sallie Ford and the Sound Outside, Helios, Emancipator, Eluvium, Horse Feathers, Hillstomp, Ramona Falls, The Shins, Tommy Thayer, Carrie Brownstein, Ages and Ages, and Modest Mouse. For Concerts in Portland, please see our event listing calendar of Concert tour dates in 2019! Some cities are so staunchly set on maintaining a projected image that they fail to embrace a more balanced perspective on themselves. Portland is not one of those stuck-up places. 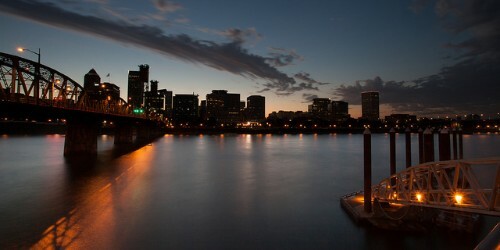 In articles such as “Portland’s Music Scene Has All the Fans. But Is It…Good?” local writer Zach Dunas satirically explores the pros and cons of Portland’s music scene. It is filled with parents who want other to think they are cool, musicians who end up working in advertising, anti-summer anthems, and middle-aged men who claim to be end all be all music critics. In some music communities, it is hard to break in and make a name for yourself. Portland is a little less intimidating. Although the national spotlight has shifted to other locales in recent years, a prolific amount of new talent is still coming out of this Oregon city. In fact, the scene is diversifying stylistically and demographically more than ever before. According to the Willamette Week, some of Portland residents’ favorite new bands include the following: Savila, Black Belt Eagle Scout, Frankie Simone, Amenta Abioto, Maaquii, Brown Calculus, Sunbathe, Blackwater Holynight, Autonomics, Public Eye, Wynne, and Who’s Got Next?. For listeners who are always itching for something new to listen to, Portland has a wealth of options to appraise. How Do I Find Upcoming Portland, Oregon Concert Events Near Me? See below for a list of Concerts in Portland OR scheduled for 2019.